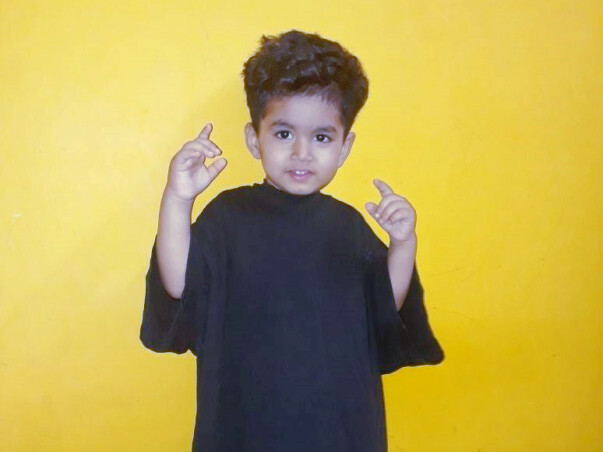 Will you not help 2 year Arham fight his battle against cancer? 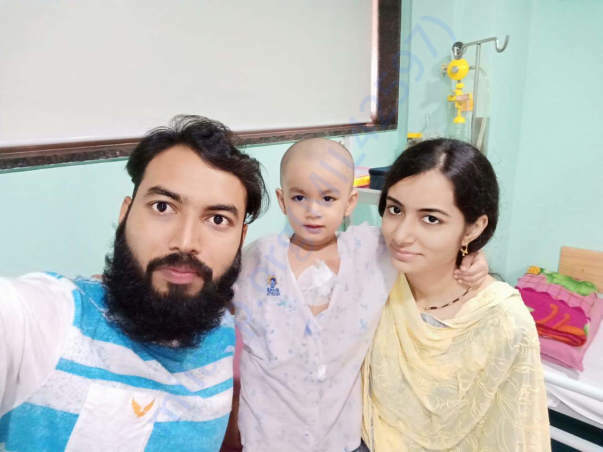 2 YEAR OLD BABY ARHAM (A TRUE FIGHTER) NEEDS YOUR SUPPORT TO FIGHT HIS BATTLE AGAINST CANCER - WILL YOU HELP? “He says, 'Abbu, I don’t want to be in the hospital, I want to go home!' My heart breaks whenever I hear him say this.” said Arham’s father, Adil who works as a facility manager in a construction company in Pune. Early this year, the 2-year-old Arham had heavy fever which did not subside for many days. His parents showed him to a couple of well-known paediatricians but Arham did not recover. Finally a relative referred Adil to Dr. Vibha Bafna of Jehangir Hospital, Pune. 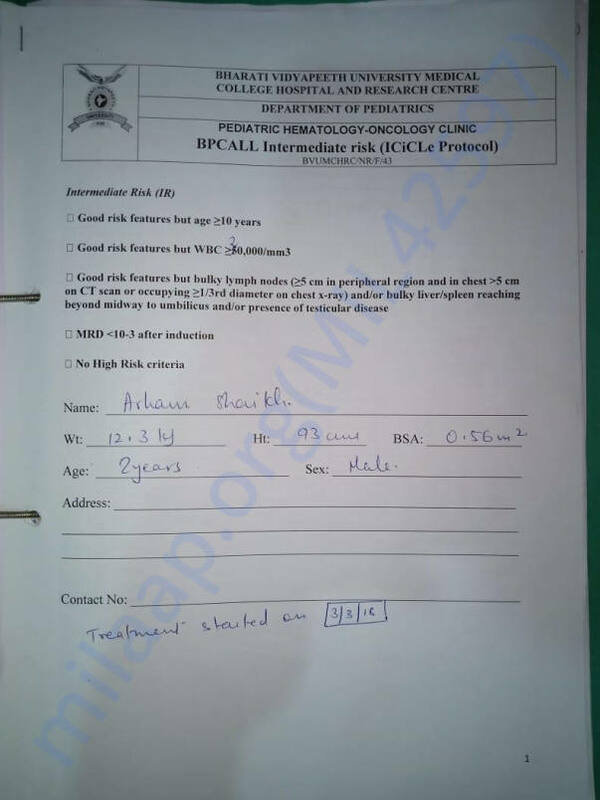 “We initially thought it was only fever and weakness which can be cured in few weeks. However, after a few advanced and expensive tests, the doctor told us that Arham was diagnosed with PRE- B ACUTE LYMPHOBLASTIC LEUKEMIA. After hearing that our little child was having cancer, the entire world came down crashing on us. We panicked and did not know what to do but without wasting any time we admitted him in Jehangir Hospital and started his treatment under supervision of Dr. Vibha Bafna,”. 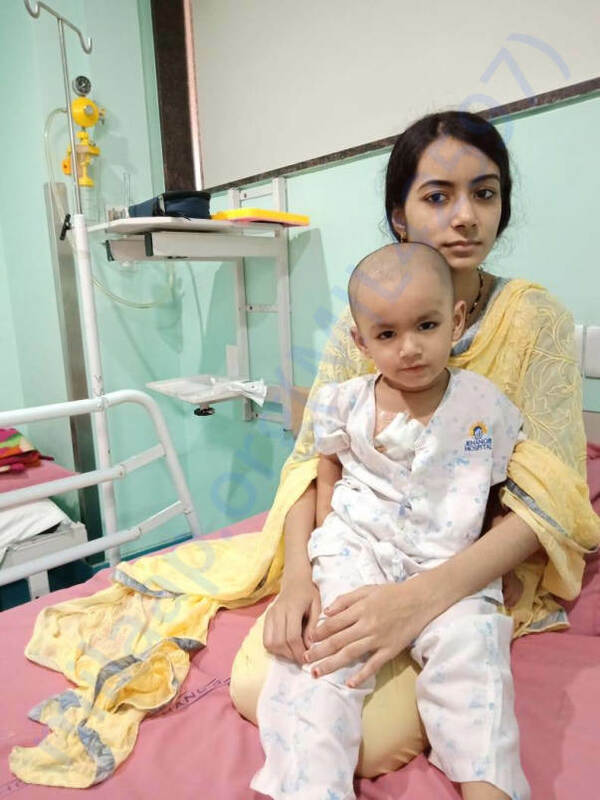 According to Dr. Vibha Bafna, Arham needs multiple cycles of chemotherapy and has to continue his treatment for next 3 years, to be able to recover fully and live again. The parents are afraid that their child’s condition might get worse if he doesn’t get the treatment in time. “During his chemotherapy, my son cries in pain and wants to go home, but how do I tell him that he cannot? Sometimes he exhausts himself weeping continuously in pain. He is increasingly getting scared, and feels extremely tired and helpless." “My husband works at a construction company with limited salary. With his income we struggle to make ends meet for our entire family with great difficulty. Now with the heavy expenses of hospital for Arham’s treatment and also managing the daily household expenses have burdened his shoulder. We have asked for support from everyone in our surroundings, but this is a very huge amount” – says Arham’s mother. These parents have spent around Rs 6,50,000 after exhausting every resource they had. To date, the expenses of the tests and treatment have been covered with their own funds and with the help of family and few friends. Now this family do not have any other option left. 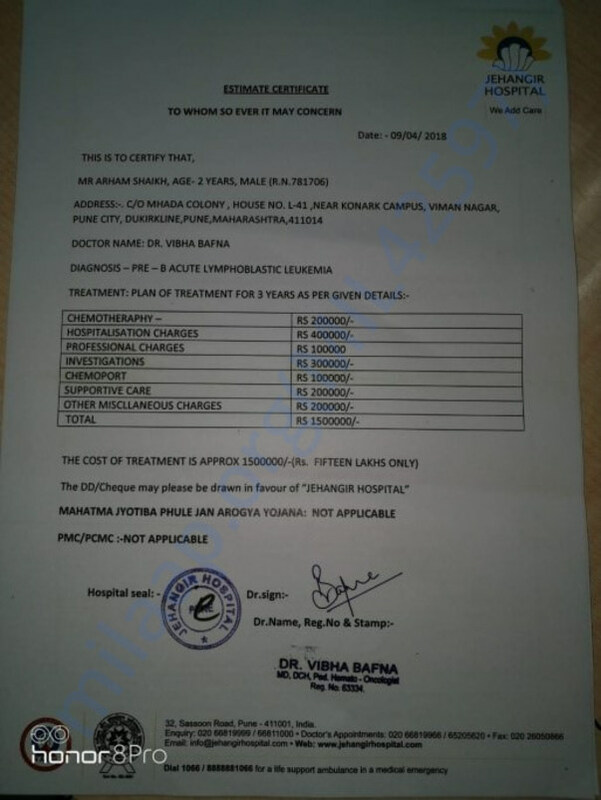 To save their adorable kid’s life from this deadly disease they need Rs.15,00,000 for treatment. Arham is like your child! Would you not want this loving child to smile and play again soon? Please support us in saving Arham’s life. No matter how small is the amount, this will help him breathe his life again.. I am overwhelmed with the love and support given to my son, Arham. I would like to inform you that he has completed 2 cycles of Chemotherapy and his third cycle will begin soon. There are side effects such as hair fall and rashes, which is normal. His treatment will continue for another 2 and a half years. Thank you all for the immense love and support. Please keep praying for his good health.